Algoma Central Corporation is still examining potential alternatives to replace the cancelled shipbuilding contracts at the cash-strapped Croatian shipbuilder Uljanik. Ken Bloch Soerensen, President and Chief Executive Officer, said that the cancellations eliminated CAD 145 million (USD 110 million) of commitments and that CAD 112 million of installment refunds was expected. 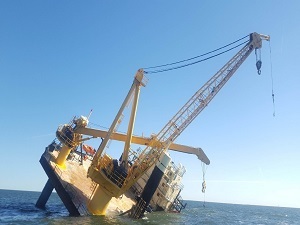 The company cancelled four ships at Uljanik over the past thee months as Uljanik was making very slow progress on the construction. The first contract for the construction of one Equinox self-unloader was rescinded in September. 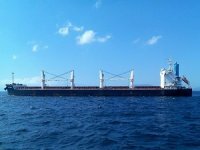 Three more cancellations of Equinox vessel contracts followed suit in October. The process has begun for reimbursement of contract installments paid to date and related interest, including issuing demands under related refund guarantees of approximately CAN 100,000. “We don’t expect to receive any refunds until early 2019,” Peter D. Winkley, Chief Financial Officer of the company, added. Soerensen pointed out that there are no intentions of shrinking the fleet in the near-term or even long term. 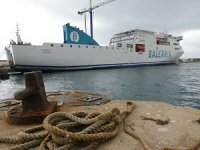 The company is currently working on a fleet renewal plan and has retired 16 vessels since 2011. 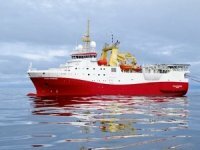 It has taken delivery of seven out of 12 Equinox vessels as part of its newbuilding plans. 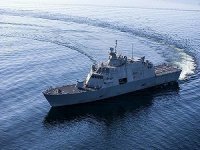 Eight more ships are expected to join the fleet in 2019, the company informed. 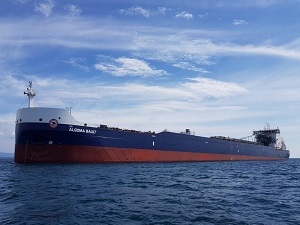 Separately, during the third quarter Algoma and Nova Marine Holdings launched a new joint venture, NovaAlgoma Bulk Holdings (NABH). 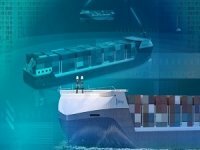 NABH, created in the third quarter of this year, has interests in four deep-sea bulkers operating internationally and is managed out of Lugano, Switzerland. 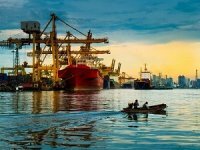 With the latest move Algoma’s coverage of the global short sea shipping segment includes 50% interests, through joint ventures, in NovaAlgoma Cement Carriers, NovaAlgoma Short-Sea Holdings and NABH.